**UPDATE** Check out my new book out now that shares my secrets to using professional project planning concepts for your own family. 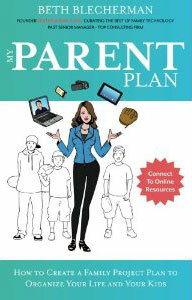 The book is called “My Parent Plan“. I am re-releasing an updated version by May 2013. More info will be posted asap! Thanks to REP Interactive for their fantastic direction/editing/production of this video (that I won as a prize at a conference!) and the Four Seasons Silicon Valley (my go to hotel for events, spa outings, meetings and social fun) for allowing us use their beautiful hotel in this video. MOMMYTOMOMMY.TV: One of the co-hosts of MommytoMommyTV. Shows include “TechMama goes HotMama” and Social Media Moms Unplug at Paws Up Ranch in Montana.